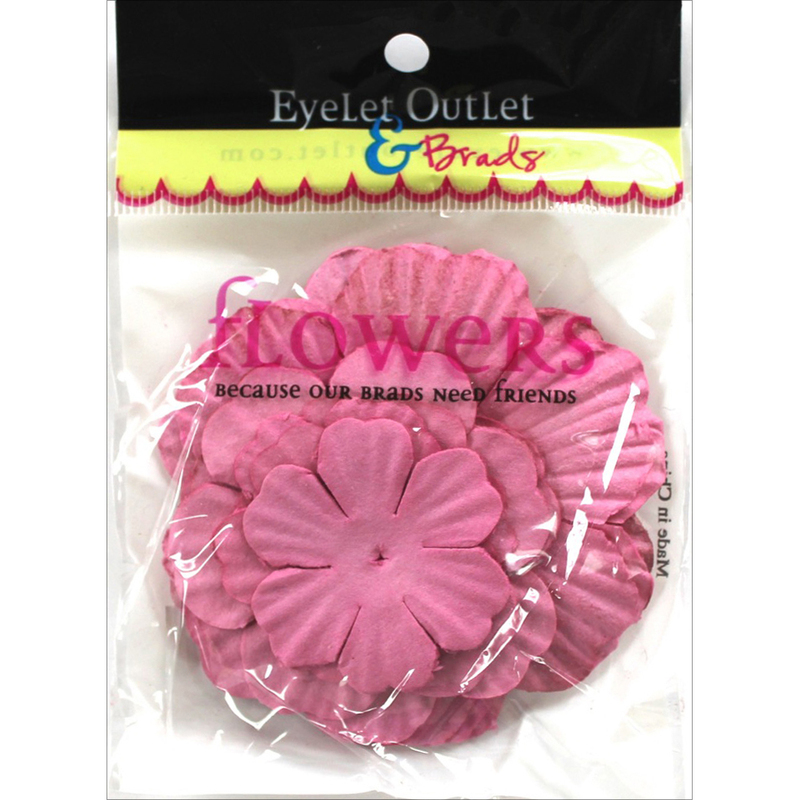 Eyelet Outlet-Flowers. Because your brads need friends! Add a floral look to any project. This 4-1/4x3 inch package contains forty paper flowers in three different sizes. Comes in a variety of colors. Each sold separately. Imported.